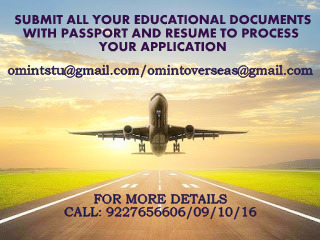 OM VISA Consultancy - Global Immigration, Students, Visitor, Business & Work VISA Consultants: Don't Miss the opportunity to study in Dubai at University of Wollongong with the help of Om International one of the leading visa consultancy in Gujarat. Don't Miss the opportunity to study in Dubai at University of Wollongong with the help of Om International one of the leading visa consultancy in Gujarat. From humble beginnings opposite Al Mulla Plaza, through the landmark presence on Jumeirah Road, to our current location at Dubai Knowledge Park, UOWD has become recognised as an integral part of Dubai’s academic landscape. All UOWD academic programs are accredited by the UAE Ministry of Education - Higher Education Affairs and quality assured by the University of Wollongong in Australia, which is registered with the Tertiary Education Quality and Standards Agency (TEQSA), the national regulator of the higher education sector in Australia. UOW Australia has achieved an outstanding 30 out of a possible 30 stars in the six key educational experience categories assessed by the Good Universities Guide 2016. Against this benchmark, students at UOWD can be assured an international standard of education, earning a degree that is recognised locally and can be transferred to an Australian qualification on completion of study. The internationally recognised qualifications enable UOWD graduates to pursue rewarding careers and our more than 9,000 alumni include many high profile graduates in senior positions in public and private sectors across the region. UOWD provides a range of scholarships offering financial support to new and existing students, at the commencement of each semester (unless otherwise stated). Assistance for new students at postgraduate level ranges from 15% to 25% of tuition fee costs, but does not cover living and other study-related expenses.